I hope you can help me if you have a minute. I’m a young interior designer and have done some reading about how to make my business profitable. That is— if anyone will hire me. I know that I’m really good at what I do and I think that I’m warm and engaging. Okay, one person wrote me that I’m too expensive! I get most of my furniture from a to the trade showroom that’s offering 40% off to the trade. They sell brands like Baker, Henredon, Councill, etc. It’s very nice furniture, but my clientele are largely young families and when they hear that the average sofa is at least 6k+, I can quietly hear them heaving. The 6k is the price AFTER I’ve given them a discount of 30% off of the retail. I have to do that because I did some comparison shopping of local stores and that is their “mark-down.” Therefore, I’m not making that much. There’s more. I do have this one client and after spending many hours searching for something, she came back to me with the same item for less somewhere. 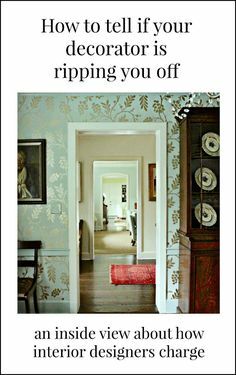 I really love interior design. I’m not trying to get rich, but of course, it seems like others are doing better than I am. What am I doing wrong? I feel for Alice and can relate oh-so-well. About ten years ago, I was throwing money away on furniture and didn’t even realize it. Not across the board, but I was getting a lot of my products for clients from a place called DESIGN ONLINE. (now defunct). It was only available if you were in the trade for a $25/month fee (hmmm…) and then, you were privy to hundreds of vendors for product you normally had to get through a showroom. There were many vendors I had never even heard of before. And her discount was really good. It started out alright, but then most of the vendors became sorely out-of-date and something just didn’t feel right. Then, one day… about nine years ago… I had sourced this adorable little bookcase from one of the Design Online Sources. It wasn’t expensive and the client loved it! Hooray! The room was all put together and I sent her a cost estimate. Didn’t hear back. Then about two weeks later, she emailed me that she had found the same bookcase for $15 LESS than my designer’s net cost. HUH??? I was horribly confused, mortified and for once in my life speechless. Understandably, the entire sale collapsed. I never heard from her again. Surely, in her mind I was ripping her off. I was so upset because I knew I couldn’t compete with those morons! BUT, how on earth could someone on the internet be selling for less than MY cost? Panic began to set in and I feared that my career was over. I figured out the problem and fixed it. Pronto! I got on the horn with the company that sold that little bookcase (to the trade) that I couldn’t sell. The woman had this achingly sweet North Carolina drawl that always makes me smile. Since then, I’ve developed wholesale accounts with dozens of vendors that many designers don’t realize they have access to. And if you’re in the trade, you can too. This is one of the primary reasons why I created LAUREL’S ROLODEX. But, Laurel’s Rolodex is so much more than just a trade resource. It’s also a fabulous retail resource that’s designed to save consumers a lot of money as well! The entire industry has changed so much since the advent of the internet. Many formerly only to the trade sources are also available as retail, either online, in stores or both. Have access to a 300+ page guide that gives an insider’s view into the world of home furnishings. Have access to the list of 128 DESIGNER FRIENDLY V/Ms where as a trade member, you’ll be able to buy at a deeply discounted price. Find out my list of the 36 sources I can’t live with out. You’ll also get a fabulous BONUS chapter about how to find the source of a product when there’s no clue as to where it’s from. I will show you how to crack the code! It works for me 99% of the time! PLUS— Over ninety beautiful images, anecdotes, inside info, and Dozens of HOT TIPS! Here… I’m dying to show you part of it! Here’s the intro. Some has been covered, but there’s a little more info not covered, if you’re interested. Have to admit… I’m very proud of this and am thrilled to have it for myself! There are so many times that I’m wracking my tired brain trying to remember a source. Well… here it is! And, it’s going to be updated regularly. As an owner of the guide, you’ll be privy to free updates for the first six months. AND, you’ll be able to contribute! If you know of a fabulous source that’s not in there, please let me know and it will be added for the next update! Okay, I’m going to show you the first page in the first few alphabetical categories. This is a minute sampling and not every page in the actual guide has photos. The other day, I was curious and checked to see how much one two-credit course is at the New York School of Interior Design (NYSID) is. One semester-long (15 weeks) interior design course that meets once a week for one hour at the NYSID costs— are you ready? That’s right. 15 hours of class time. This doesn’t include supplies and I spent thousands on supplies the three years I went to the NYSID. Oh, how I wish there was a course that taught me even half of what is in this guide! Some of the courses I took were nothing more than arts and crafts projects; the kind of thing you would do at summer camp. Seriously! Most of what I learned came from the 24 years I spent after interior design school. Altogether, it’s 27 years of experience in one 300+ page guide. (yes, over 300 pages!) crammed with inside info, hot tips, what to avoid and how to pay less whether you’re a designer or not. I had no idea how much to charge for all of this. I do want it to be something that most people can afford and $1,800 seemed a little steep to me. No? Quite frankly, I don’t think I can put a price tag on it. The return on investment could be staggering, not to mention the time it’ll save. Oh man… I almost forgot something very important. After you’ve received your guide and if you’re not happy with it for ANY reason, I will refund your money back 100% and you can ask for it back any time within 30 days of purchase. No questions. No hassle. Done. And please remember for people not in the trade that everything in this guide IS available for retail somewhere. There are very few sources here that are off-limits. And many of them are retail – ONLY! SO HOW MUCH IS IT ALREADY, LAUREL? For less than the price of one hour of BS interior design college where I did projects like making a mobile out of waxed paper, string and tooth picks, (yes! I put it over my baby’s crib-lol) you can have a 300+ page insider’s guide which will teach you more than I learned in an entire year of interior design college! (A LOT more) An entire year that today costs well over $30,000 plus supplies! After the first week, the price reverts back to $149.00. Still a bargain, but this week because subscribers get privileges, they can have it for only $119.00. If you are not a subscriber and don’t want to subscribe, you can also buy it for $149.00 right now. Get Your Copy of LAUREL’S ROLODEX! And if you can manage it, I’d love it if you’d help me spread the word! I second the request for a printed book! Have you looked into https://www.lulu.com as a self publishing outlet? They can walk you through the whole process, I understand it takes very little start up investment. You set your price and can also sell on an Amazon platform if you wish. I’m thinking about it myself. I will look forward to the Rolodex! Thanks for all of that Laura. I have thought about it and looked into that, but the problem is… I want to be able to do the free updates. And there are places that will turn the PDF into a book if some would like that. I could also offer that, but it makes things more complicated on my end and then they would have to pay for a new book every time it was updated. Plus I’m not sure if I can offer it both ways. Ultimately, I felt that doing it this way was a better deal for the majority. Hi Ronald, Thanks for that. 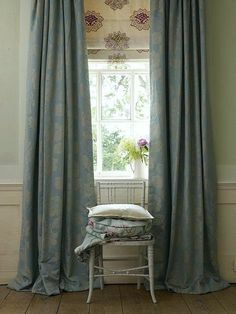 I very much recommend that you work with a professional for custom draperies. And one whose work that you like. Laurel, what a fabulous resource! Not just in breadth — 500 vendors!–but in depth as well. Only YOU could turn a list of companies into such an entertaining (but also highly informative) digital page-turner. This was a wonderful article and I enjoyed it as I have enjoyed and learned from your others. I reeeeeeeaally hope my husband gets a giant raise next year so I can hire you but if not, after we move I will buy this. I am sure it is incredible. I have three children too, they are not wantonly destructive but they are so hard on furniture I have threatened to make everyone sit on rocks. I am thinking of trying Amish built next I mean they have a zillion children, maybe it’s sturdier. oh wow Veronica! Thank you for this and the other comment too! Can I quote you? In addition, can you come and work for me? haha! That is an amazing tip. I did not know about that one at all! Much better than my response! You will definitely find it helpful. Even, in the business for 27 years and studying all of this, I came across dozens of new sources. What I’m saying is that I’ve learned a lot too just putting it together! 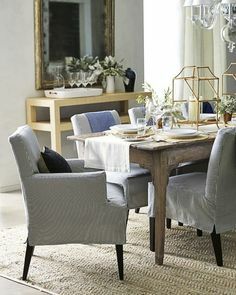 For a designer with a similar aesthetic, just getting the list of the vendors I can’t live without is going to be exceedingly worthwhile! I would love to buy your guide but have read your email twice and cannot find the discount code…what am I doing wrong? 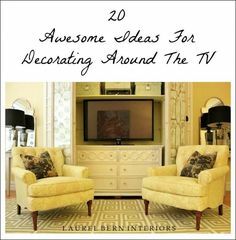 If you’re planning on buying furniture or even if you’re only interested in learning about a ton of new sources, then absolutely! And you’ll get all the updates. Those will be free for at least the next six months and there will be a lot.